Check out the new August 2017 flyer of Specials including the regular Monthly Flyer. 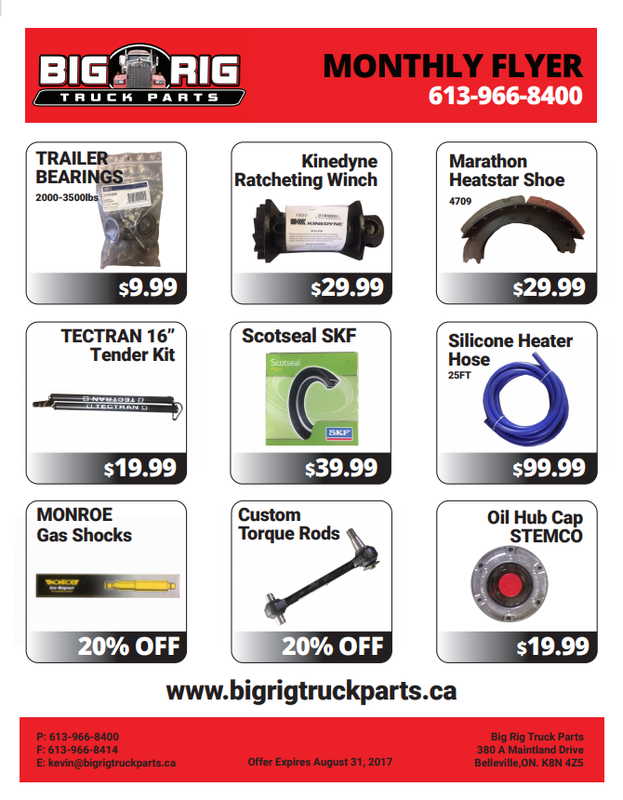 The Monthly Flyer features bearing, Monroe Shock, and Tectran 16″ Tender kit. We also carry all Klondike engine oil and lubricants.